President David Granger on Thursday defended the appointment of Dr. Mark Bynoe, an environmental economist, to head the Department of Energy which would, among other things, decide on granting oil concessions and licences. While conceding that Bynoe was not experienced in the oil and gas sector, the President said the head of the new body would be responsible for mobilising experts to manage the industry. “We decided on a person, who is experienced not necessarily in petroleum, but who has the intelligence and the experience to find people who are experienced and who can administer that important industry,” Granger said in response to a question by Demerara Waves Online News. The President said Bynoe is aware that he “doesn’t know everything but he knows where to find people who know enough to make that sector functional and we feel that he is a fit and proper person to do that”. Industry experts have expressed concern about Bynoe’s expertise to discuss key technical issues in the petroleum sector with top highly-trained specialists in major oil companies. Dr. Bynoe worked for several years with the Belize-based Caribbean Community Climate Change Centre (CCCCC). 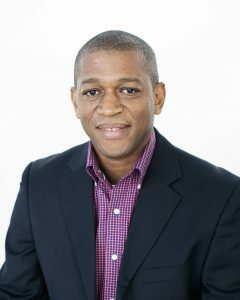 Dr. Bynoe obtained his doctorate in Environmental Economics from the University of East Anglia and a Master’s of Science Degree in Resource Management from the University of Edinburgh. The Head of the Department of Energy has since been tasked to embark on a four-phase programme to establish that department of the Ministry of the Presidency. From August 1, according to the Official Gazette, the responsibility for the oil and gas sector has been transferred from the Ministry of Natural Resources to the Ministry of the Presidency. Bynoe would have to assemble a team of persons to work in the department, transferal of responsibilities for petroleum in the Natural Resources Ministry and other government ministries to the department, and operationalisation of the department by early September, 2018. “A lot of work has to be done. We have to advertise for experts all over the world and we have to look at drafting legislation. We have to look at financing. We have to look at all other aspects of the operationalisation of the department so it’s early days yet but we hope that during the month of August we’ll cover much more ground, much more quickly than we have been able to do over the last seven months,” he said. In January, 2018 the Ministry of the Presidency announced that it was taking over responsibility for the petroleum sector from the Natural Resources Ministry. The Granger-led administration has come in for sharp criticisms over the renegotiation of an agreement with ExxonMobil, receipt of a mere US$18 million signing bonus and other terms if the agreement that appear to be unfavourable to Guyana. Natural Resources Minister, Raphael Trotman has said the deal with ExxonMobil has to be seen in the wider context of the protection and preservation of Guyana’s territorial sovereignty. The majority American-owned oil company, with significant clout in the United States diplomatic and political circles was in 1990 granted an offshore concession that stretches along the entire Essequibo Region which Venezuela claims as hers. That concession also extends to part of offshore Demerara where the Liza well oil deposit was first found. Commercial pumping and sale of oil from that location will begin in early 2020.